In addition to helping end the drug war, this approach has a number of benefits for the high individuals and the dynamics of the local occupy groups. Civil Disobedience – America has a long history of civil disobedience that has been reignited by the occupy movement. Smoking weed together is a concrete show of strength that dares the police and others to act. 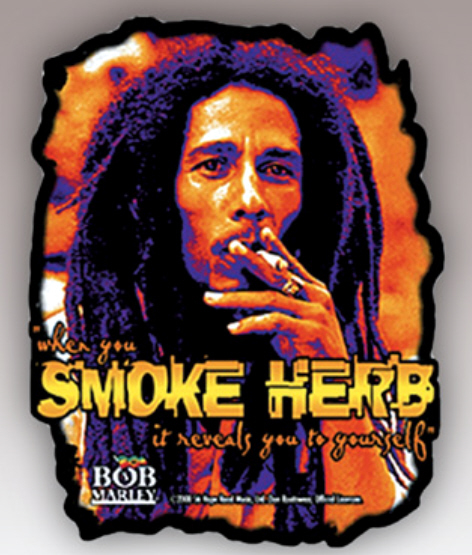 In the words of Bob Marley “The more we smoke herb, the faster Babylon will fall.” Getting high helps people see the lies and tricks of the establishment. Alternative Realities – The occupy movement has been very innovative in terms of raising awareness of and interest in new ways of living and organizing society. Smoking together will inspire further action and suggest new roads to a better society. 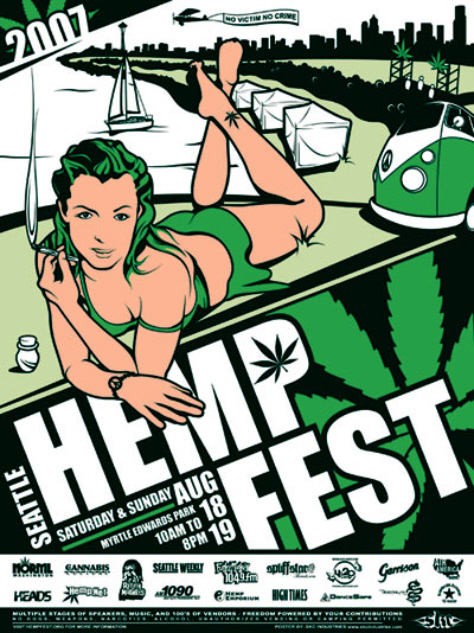 Building Community – As the occupy movement regroups it will be helpful if local participants “take the time to reason together.” Getting together regularly to share pot and break stupid laws promotes group solidarity. Low Personal Risk – In most parts of the country, marijuana possession (and hence public consumption) will be considered a misdemeanor. In fact, one goal of civil disobedience is to clog the courts and judicial system – which could be done here with petty pot possession cases. Public Support – Opinion polls consistently show that over three-quarters of Americans believe medical marijuana should be available to patients. Almost as many do not think it is right to arrest adults for possession of marijuana. The whole world is ready for the US to stop this insane, ineffective and inequitable war on drugs. 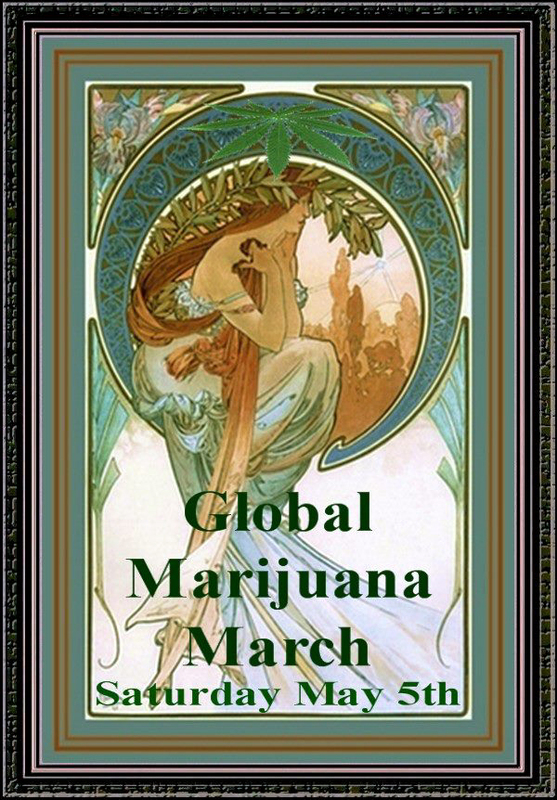 Local Occupy groups can practice the following simple guidelines in order to safely and successfully plan and conduct Occupy 420 protests on a regular basis. Select a variety of possible locations that are accessible, open and public. These could include any natural park; centrally located parking lot; central town square; college campus; vacant building; or other site. This will make it hard for police to actually catch anyone with marijuana in their possession. The night before the event send the location of the site for the 4:20 Smoke-in to select participants. Use Twitter, cell-phones and personal contact to spread the word before the event and to announce possible and final location. Various forms of security can be maintained. 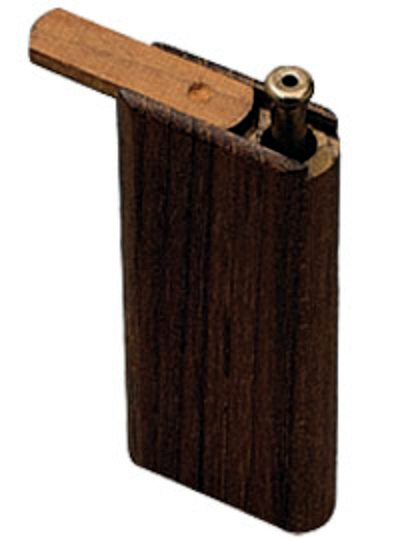 Have several participants bring along blunts (with tobacco and without for camouflage.) These would be lit at 4:20 and passed around until all traces are gone. No one else should have any other illegal substances on them. Depending on number of people, this won’t take long. 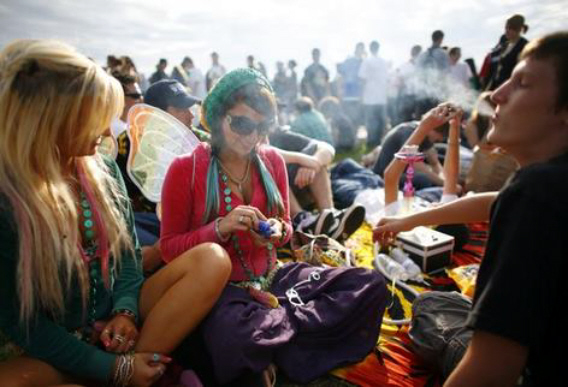 Once the herb is consumed, people should feel free to hang out, talk, eat, play music or do what they want. If the cops would try to arrest anyone, there will be no evidence. If cops hassle anyone, link arms and practice other tactics which the occupy movement is famous for. It is surprising how few people realize how safe and simple it is to get high when you are out in public. 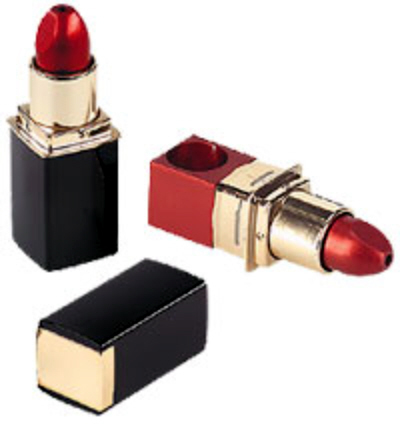 You can securely get high almost anywhere – parks, parking lots, bathrooms and so on. 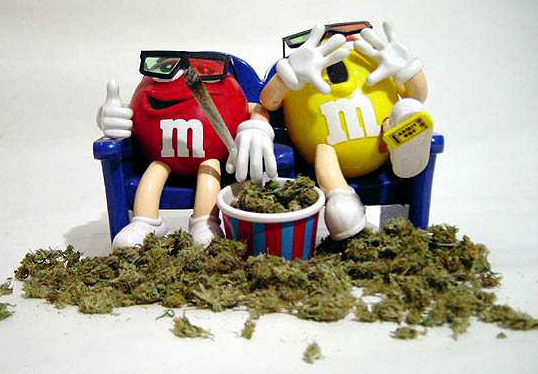 In fact, people who enjoy marijuana have a number of ways to get high without getting caught. The following methods and devices have been personally tested and tried by yours truly and many others. 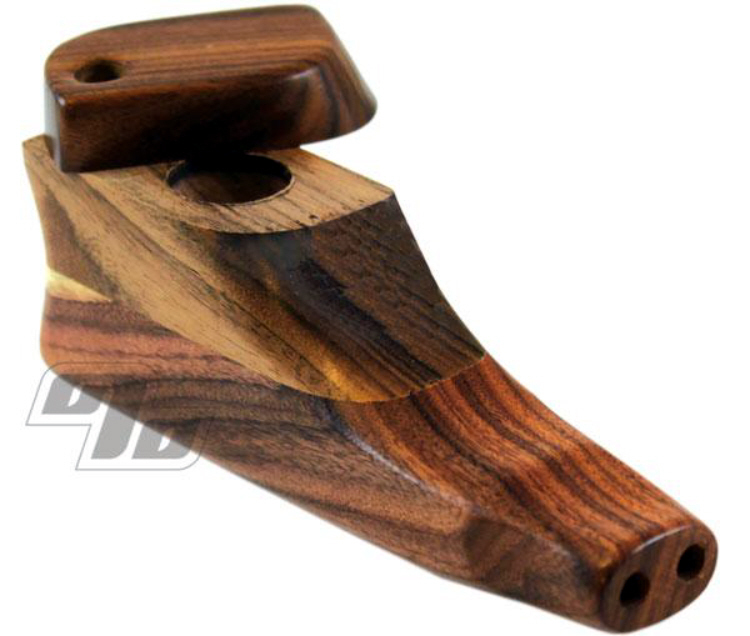 First of all, get some stealth smoking paraphernalia. Below are pix of some of the most effective and efficient (courtesy of the Online Amsterdam Head Shop Look for these at your local smoke or head shop. This approach has some cool benefits. 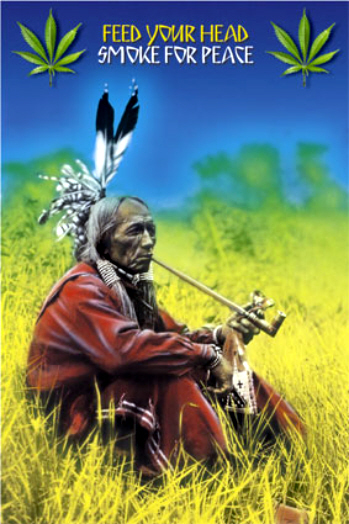 You waste no smoke – particularly if you hold in the hit as long as possible. The possibilities are endless. 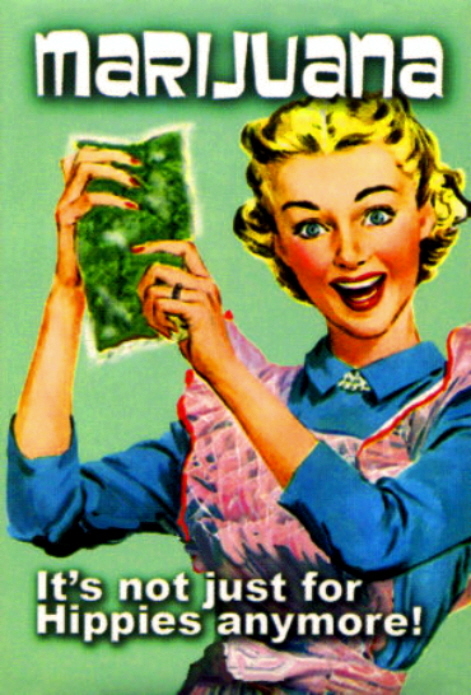 All you really need is nerve, good herb and the right smoking technology. You get to have that “Illegal Smile” on your face as rejoin the straight world with a much more positive outlook. It is also fun to get away with little misdemeanors like getting high. Getting high alone or with friends is one of the most hip and happy ways to stand up for your rights. 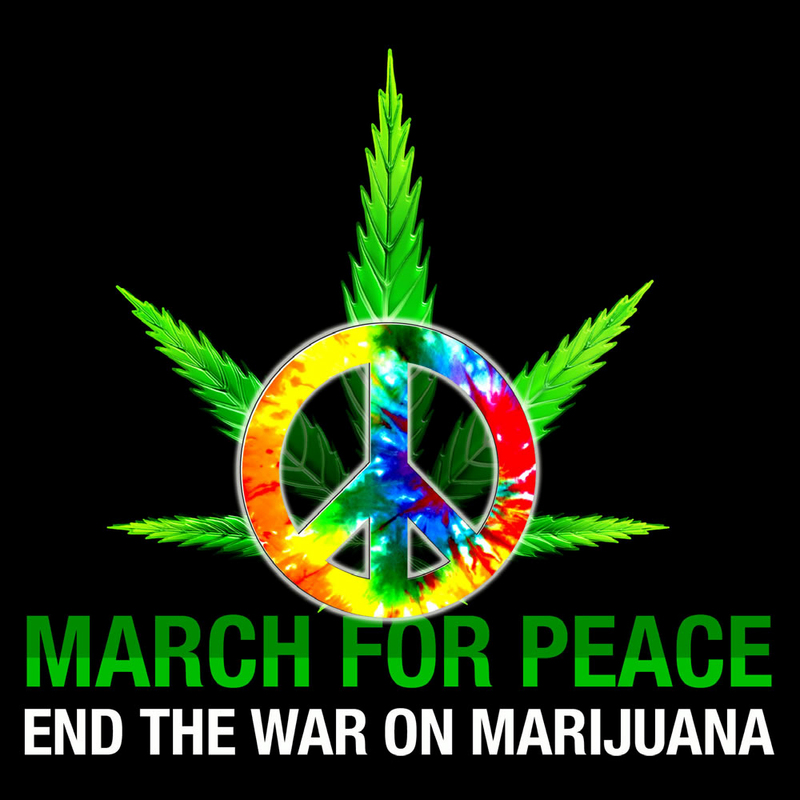 Make 2012 the year we get end the war on marijuana. 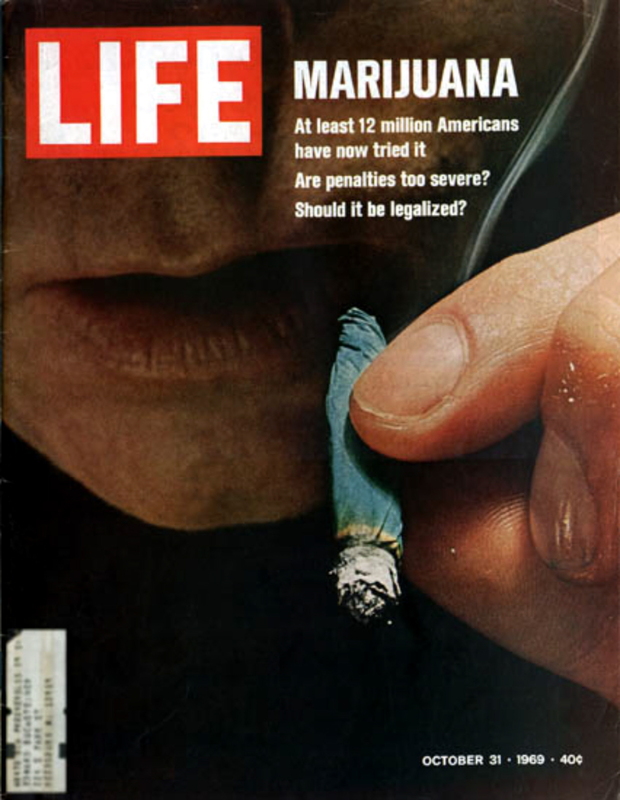 Public smoking of marijuana has been safely carried out for decades. 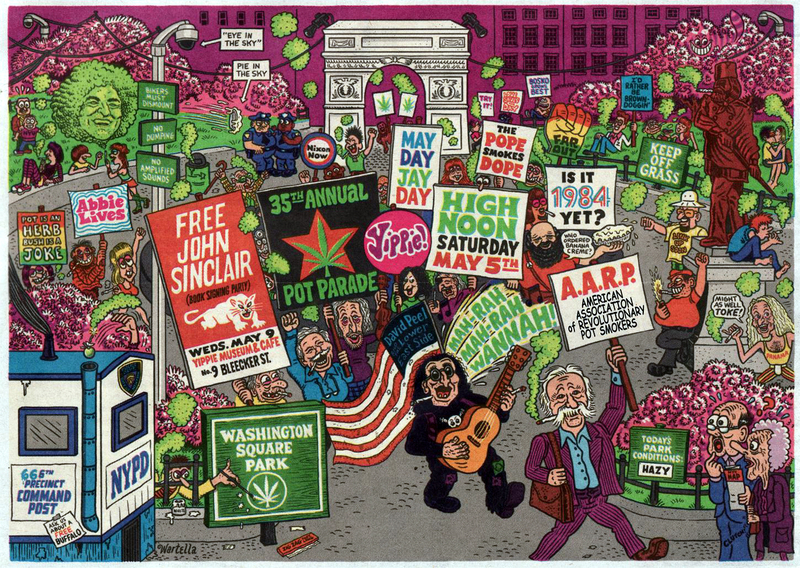 Each year on April 20 (4:20) and on the first weekend of May (Million Marijuana March) various forms of civil disobedience take place when protestors openly flaunt the laws that prohibit pot possession and consumption. This is their fourth year protesting pot prohibition by openly defying it. 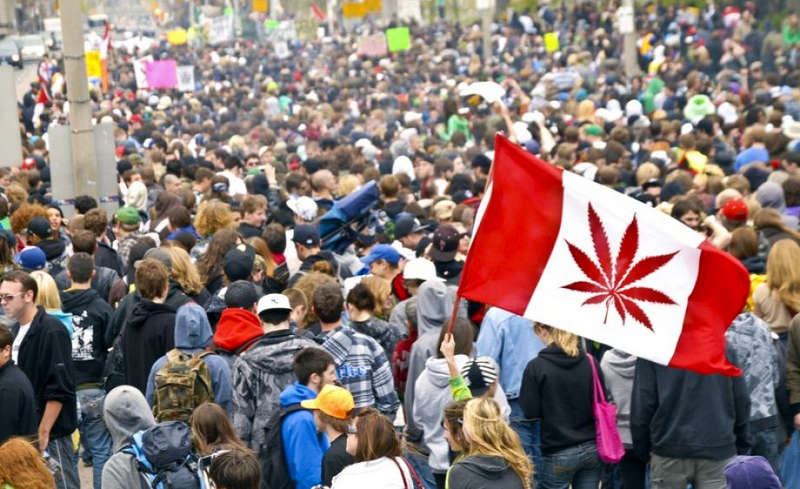 Toronto Hash Mob estimated between 1,000 to 2,000 pothead protesters spontaneously did participate. 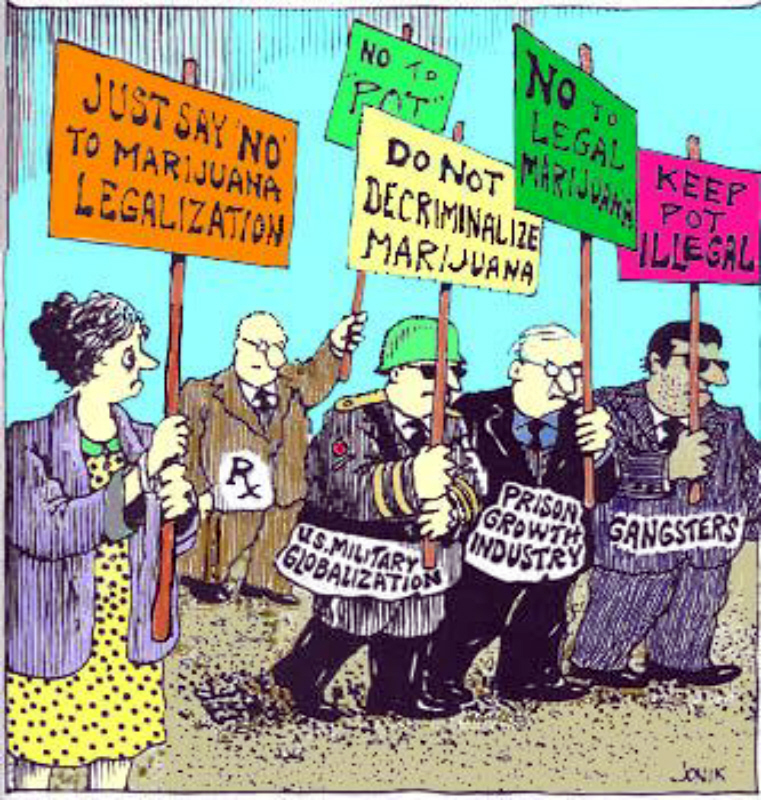 Opting to break the law by puffing pot proudly in Times Square of Canada is civil disobedience. Management even agreed to leave the tables out. There was no permit and thus no stage. Attendees brought their bongs, buds and personal entertainment. 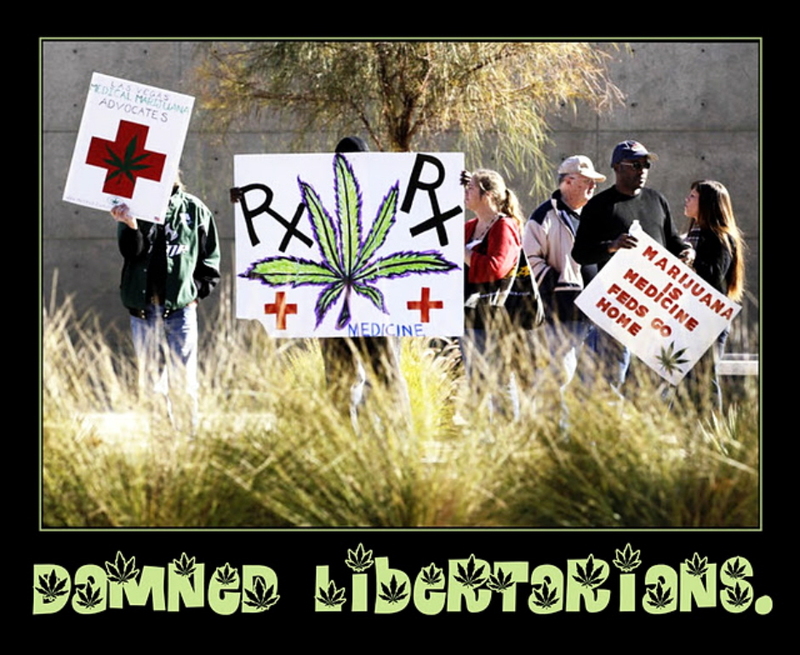 This year’s protest was also a memorial for marijuana legalization activist Jack Herer. He died without seeing marijuana legalized in his lifetime. An ongoing marijuana protest in Keene’s Central Square came to a head Saturday afternoon, as police made their first drug-related arrest since the group started gathering several days ago. Protesters yelled everything from “Leave him alone!” to “This is how they did it in Nazi Germany!” as police took 40-year-old Richard G. Paul into custody. 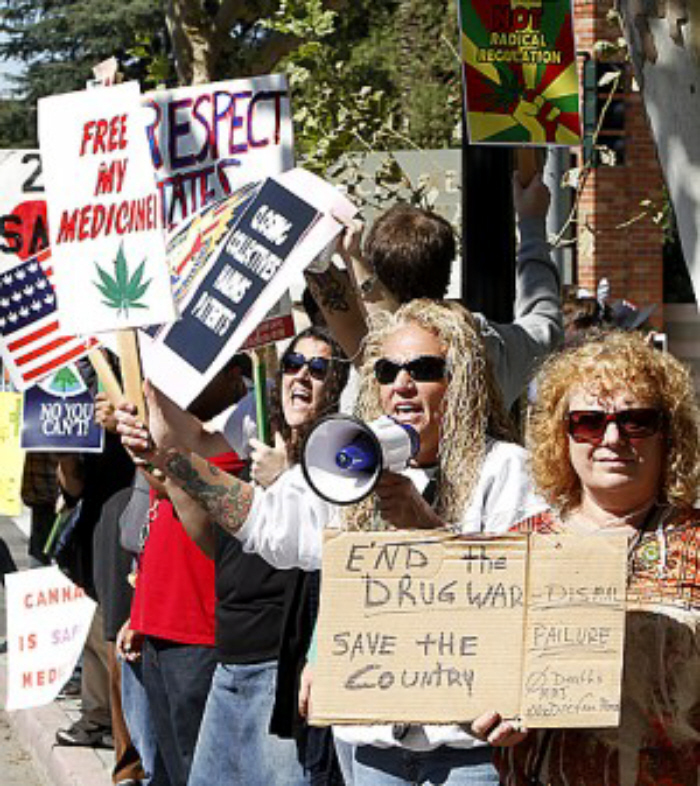 Protesters advocating marijuana’s legalization were also joined on the square Saturday by several adults and children who held signs favoring drug control. 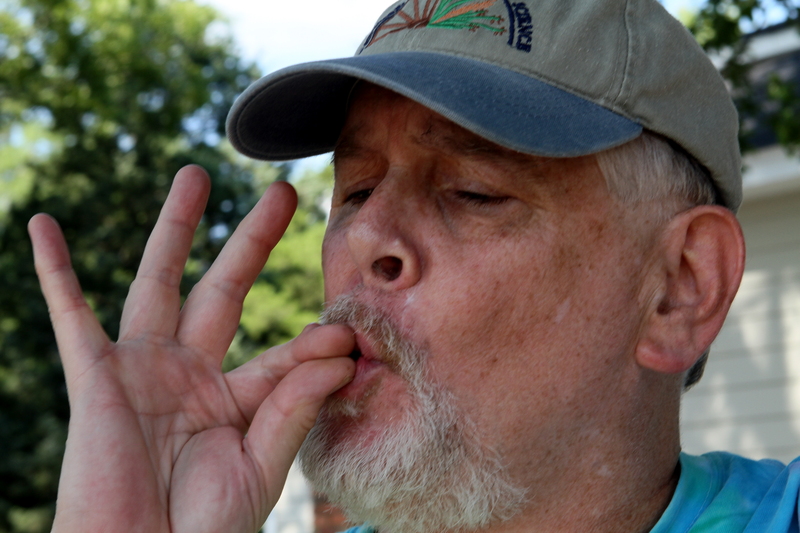 On Friday, Paul told The Sentinel he was one of the first people to meet on the square to smoke marijuana every day at 4:20 p.m. — a number identified with cannabis in marijuana subculture. Lt. Shane C. Maxfield said Paul’s arrest on Saturday was for marijuana possession after he allegedly blew smoke into an officer’s face. More than 50 rally-goers followed Paul and the officers to the police station at 350 Marlboro St., where at least one shouted protests through the door to the booking room and others sat, smoking, in a circle in a restricted area of the parking lot. Although many of protesters have said they support legalizing marijuana — and the air above Central Square smelled like pot smoke — numerous people told The Sentinel they haven’t actually been smoking the drug at 4:20. One man, who refused to identify himself, puffed on a glass pipe in front of a Keene police officer. But after the officer walked away, the man said the pipe was filled with cherry-flavored tobacco. While sitting on a curb outside the police station, 48-year-old Chaz Munro said he would neither confirm nor deny whether he’d been smoking pot downtown. Still, he described what he called “fakey bakey,” or substances that look and smell like marijuana. So why protest pot prohibition by smoking something that isn’t? “It’ll jam up the system,” said Munro, who wore a bandana over his face. And hopefully, with regards to police enforcement, he added, “It will be more trouble than it’s worth.” While they moved to let police cruisers pass, the protesters’ smoke circle blocked a portion of the parking lot Saturday afternoon, as officers attempted to go to and from calls. People can either “yell about (the law)” and “have temper tantrums” or they can work to change it, Maxfield said. Paul was released at 5:45 p.m. on $1,000 personal recognizance. He is scheduled to be arraigned Nov. 2 in Keene District Court. Having thoroughly exhausted all political means and left with little option, activists chose nonviolent civil disobedience to voice their opposition to the council’s decision. The activists all part of the “Stop the Ban Campaign” (a coalition of over 20 local, state, and national groups spearheaded by Canvass for a Cause and the San Diego Chapter of Americans for Safe Access) dropped empty pills bottles in front of the City Council to symbolize their lack of safe access to medicine. Then they linked arms and sat down on the floor in chambers repeatedly chanting “We demand safe access,” and singing “We Shall Overcome,” disrupting the session, forcing council to clear the chambers, and for a few minutes actually delaying the second vote on the ordinance. The council members, over loud chants and song, determined to cast their votes, did so (5-2) over the chants and singing. Once their votes were cast the council members all jetted for the exits and left City Hall with police escorts. Following the vote, police in the council chambers told the protesters to leave or they would be under arrest and warned the audience that anyone who stayed behind with the protesters would be arrested as well. As the room cleared out, the chants and song grew louder. After all members of the public were escorted out of the council chambers, the lights in the room as well as the air conditioning were cut off in an attempt to encourage the protesters to leave while several uniformed police were stationed on both sides of the protesters waiting for the order to take them into custody. After a couple hours it became clear the police were instructed not to arrested, harm, or bother the protesters and to avoid by all means, the PR nightmare any arrests would cause City. The protesters remained in the chambers for a couple hours past the council meeting in protest of the vote and in light of their action were able to send a strong message throughout the City, that this community’s voices will in fact be heard and respected. Those who left the chambers were told by the police that the five inside would be placed under arrest, although that never happened. A group of protesters smoked marijuana in downtown Boise Saturday afternoon as part of a protest called “Global Smoke Out” that was planned in various cities. Participants said they were demonstrating a point when lighting up. 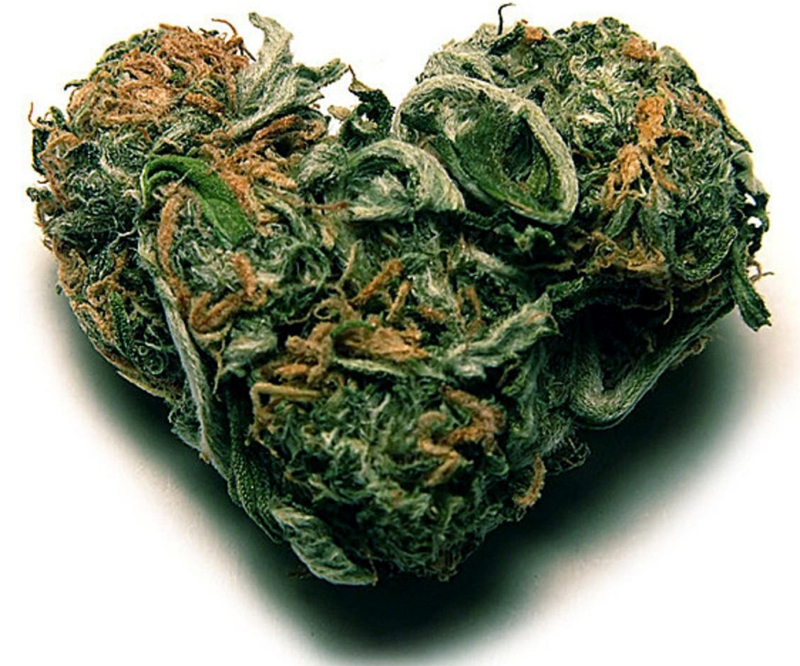 They said smoking marijuana does not hurt other people, so it should be legalized. “I think that we need to legalize marijuana across the board,” participant Tim Teater (who chose not to smoke in public) said. “I don’t see any reason why it shouldn’t be [legalized]. 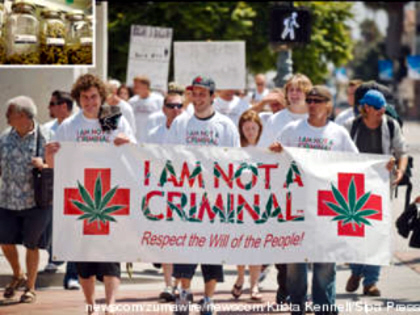 But in particular, medicinal cannabis, as it should be called, is really an important thing that should be legalized, should be made available to all kinds of people that could benefit from it.” Marijuana is classified as an illegal drug in Idaho; possessing or using it is a crime. Organizers said they knew that and understood they could be arrested. “It’s a very serious thing,” organizer Theresa Knox said. “It’s not a joke, but that’s exactly why we’re out here because if we forever hide this, then we will be forever be hiding this. Somebody’s got to step up and say, ‘Hey, look! 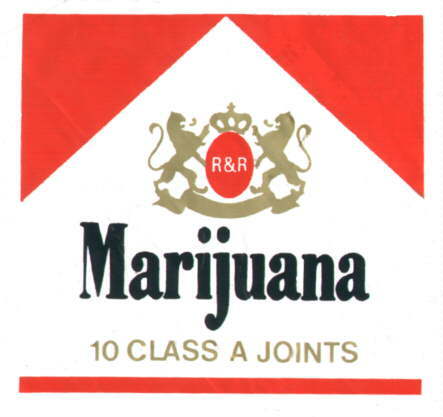 I’m smoking a ‘J’ and it’s not hurting anyone! '” Knox is part of the groups Moms for Marijuana and Compassionate Idaho. She called the demonstration an act of civil disobedience. Police need to see it, or get official complaint. Boise Police Sergeant Clair Walker said officers were directed to keep an eye on the situation but not be too aggressive with their monitoring as protesters were likely looking to cause a scene. Possession of marijuana in Idaho is a misdemeanor in Idaho in most cases. If someone is caught possessing a large amount, it could be a felony. There are also laws against being under the influence of marijuana in public, though Walker said those charges are rare. Hundreds of marijuana advocates gathered in downtown San Francisco Tuesday to protest recent federal crackdowns on California’s medical cannabis industry while President Obama attended a fundraising luncheon at the nearby W Hotel. “It’s a total overreaction by the U.S. attorneys and they need to be reined in,” Ammiano said. “I don’t know who let the dogs out, but they need to be called off.” San Francisco resident Misha Breyburg, who participated in the protest, said he was disappointed in Obama’s regression from his campaign promises. “It’s important for politicians to stand by their words,” he said. “These people out here — they’ve worked hard, they’ve saved their money and they’ve taken all of the legal steps — and then to have their property taken away from them? Maybe in North Korea. If you care about freedom, Do NOT work for Obama - He's a Liar! California voters approved the use of medical marijuana in 1996 with the passage of Proposition 215, later named the Compassionate Use Act, which allows patients to possess and cultivate cannabis with a doctor’s permission. The law has been interpreted many times since its inception. 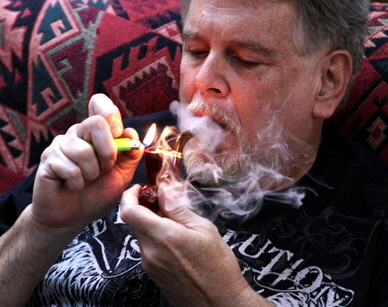 In City of Garden Grove v. Superior Court in 2007, trial court sided with the patient, finding it “is not the job of local police to enforce the federal drug law.” A California Supreme Court ruling in 2010 found residents may grow or possess “reasonable amounts” of marijuana with a doctor’s blessing. “We have it on tape,” Ammiano said of Obama’s promise. 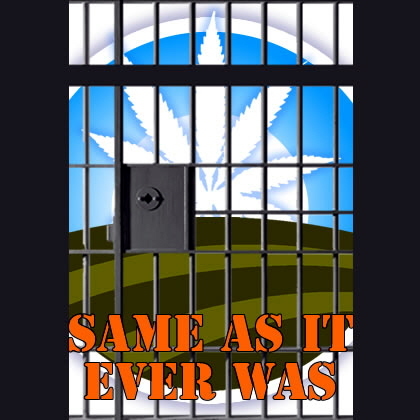 “Eric Holder early in the campaign said that the Attorney General would not raid medical marijuana dispensaries — there are around 16 states that have them — then out of the blue comes this droid missile aimed at medical marijuana and the dispensaries, and there’s a lot of untruth…to me this is kind of a ‘Reefer Madness’ mindset.” The crackdown comes even as 50 percent of Americans favor legalizing marijuana, according to a recently released Gallup poll, up from just 36 percent in 2006. Authorities estimated nearly 1,000 protesters descended on the W Hotel during the duration of Obama’s appearance. In addition to the marijuana enthusiasts, the president was greeted by environmentalists, anti-war activists and a smattering of Occupy Wall Streeters. The most vocal demonstrators opposed the construction of the Keystone pipeline in the Midwest. Rally signs ran the gamut, from “Yes We Cannabis” and “Obama Changed,” to “No Pipeline For The One Percent” and “Bring Our Troops Home.” Another group set up a loudspeaker and played clips of promises made during Obama’s 2008 campaign speeches that have not yet been met. The president stopped by San Francisco as part of a West Coast tour promoting his economic and jobs plans as well as his 2012 campaign. California NORML is staging a demonstration outside the downtown Federal Building, only a few blocks from where Occupy L.A. has been camped out at City Hall. It’s unlikely the president, in town to raise money and hobnob with prominent Latinos, will even know the bud backers are even alive. They smolder anyway. Yes, the bud nation is smoking mad over the DOJ’s pronouncement that pretty much all dispensaries in California, where medical marijuana is legal, are outlaws. Some have already been directed to shut down. We thinks the NORML demonstrators will have a better chance getting the nearby Occupiers to join them. From what we hear the Occupy encampment already has the smell of a Cypress Hill concert. 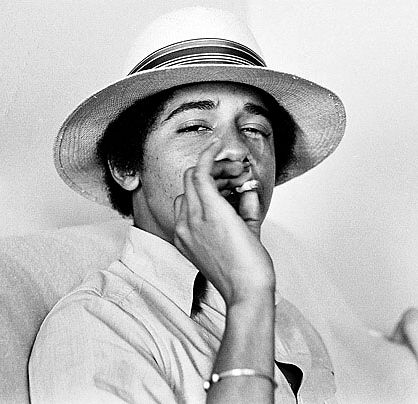 Barry Obama smoked LOTs of weed. 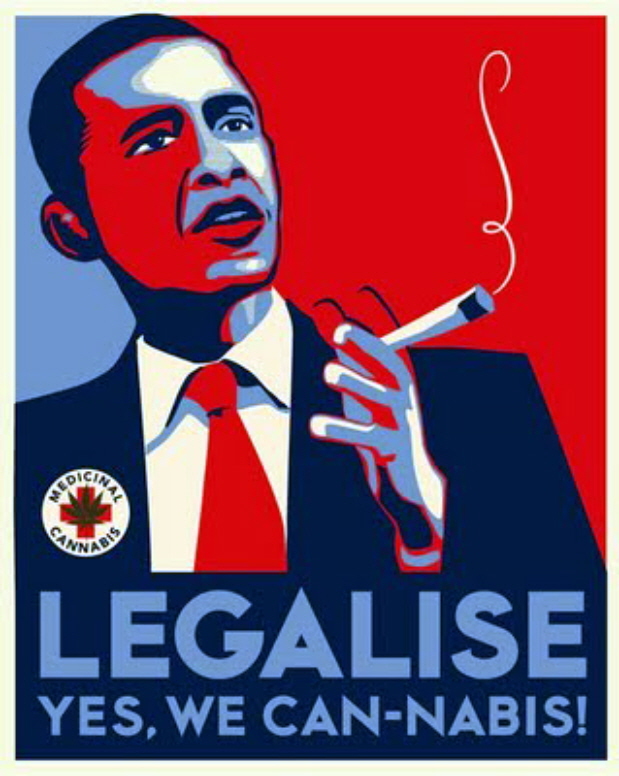 Now Barack Obama won't let others smoke! “I am here because I am the first judge in this country to say, in 1990, that the war on drugs was racist. It still is and that hasn’t changed.” ~ Judge Pamela Alexander. 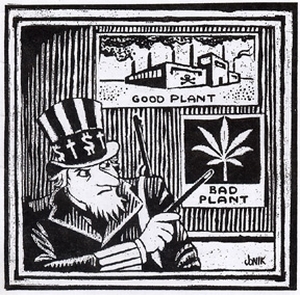 “Even if one takes every reefer madness allegation of the prohibitionists at face value, marijuana prohibition has done far more harm to far more people than marijuana ever could.“ – William F. Buckley Jr.
“In any civilized society, it is every citizen’s responsibility to obey just laws. But at the same time, it is every citizen’s responsibility to disobey unjust laws.” ~ Martin Luther King Jr. The craze for “flash mobs” — where jokers gather en masse at a moment’s notice, perform an inane activity and then disperse quickly — is spreading across Europe. Arranged via Web sites and e-mails, flash mob members voluntarily and simultaneously converge to the venue mentioned in a general e-mail and then collect detailed instructions for the event. They partake in a silly and harmless activity and then disperse at a given time. The inexplicable nature and lack of apparent agenda seems to widen the appeal of flash mobs. 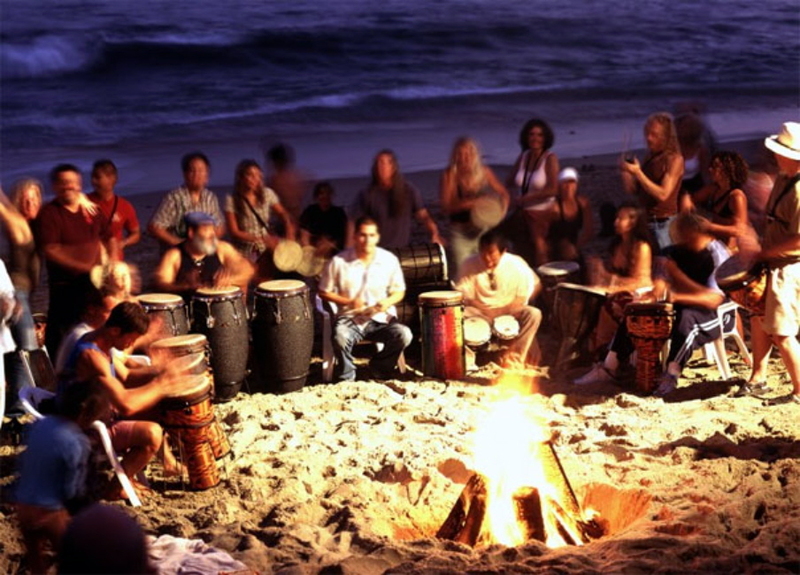 Many Web logs, chat rooms and Web groups are devoted to the craze. Adam, one of the organizers of the London flash mob, said: “Flash mobs anchor the online world into the real world — they are a manifestation of your ‘cc’ list” — a reference to the electronic “carbon copies” used to distribute e-mails widely. The message stretched far beyond Madrid. By that evening, there were 7,000 protesters in Barcelona, 1,500 in Galicia and hundreds more in city centers across the country. Most remarkable of all, the protests were organized in just a few hours, via text message and email, by a disillusioned electorate that had decided to take matters into their own hands. Forwarding messages to everyone in your phone or your email address book is now a matter of a few simple clicks – so groups of people can be mobilized quickly and effectively, even if, as in this case, no one can be sure who has organized the protest. “The illegal and violent component is also not unlike ordinary crimes where a group of people do something illegal. What social media adds is the ability to recruit such a large group of people, that individuals who would not rob a store or riot on their own feel freer to misbehave without being identified. In London, recent rioting and looting has been blamed in part on groups of youths using Twitter, mobile phone text messages and instant messaging on BlackBerry to organize and keep a step ahead of police. Sunday in Philadelphia, Mayor Michael Nutter condemned the behavior of teenagers involved in flash mobs that have left several people injured in recent weeks. 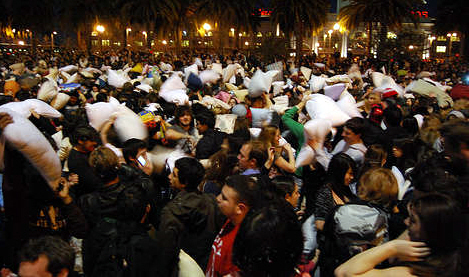 Jonathan Taplin, director of the innovation lab at the University of Southern California’s Annenberg School for Communication, said he was not surprised to see people using social media for organizing flash-mob robberies. In Los Angeles, thousands of ravers forced rush-hour street closures when they descended on a Hollywood cinema after a DJ tweeted he was holding a free block party. The sudden crowd dispersed only after police fired bean-bag bullets at the restive revelers and arrested three. We should never forget that everything Adolf Hitler did in Germany was “legal” and everything the Hungarian freedom fighters did in Hungary was “illegal.” ~ Martin Luther King, Jr.
Ordinarily, a person leaving a courtroom with a conviction behind him would wear a somber face. But I left with a smile. I knew that I was a convicted criminal, but I was proud of my crime. ~ Martin Luther King, Jr.
I’ll immediately take hold of your rss as I can not in finding your e-mail subscription link or newsletter service. Do you’ve any? Kindly allow me recognise so that I could subscribe. Thanks.